Access to the summit is through private property. Weather forecast: Light winds and a Hot 31 degrees C. Water consumption 3 litres for this summit and a further 500 mils when I returned to the car. 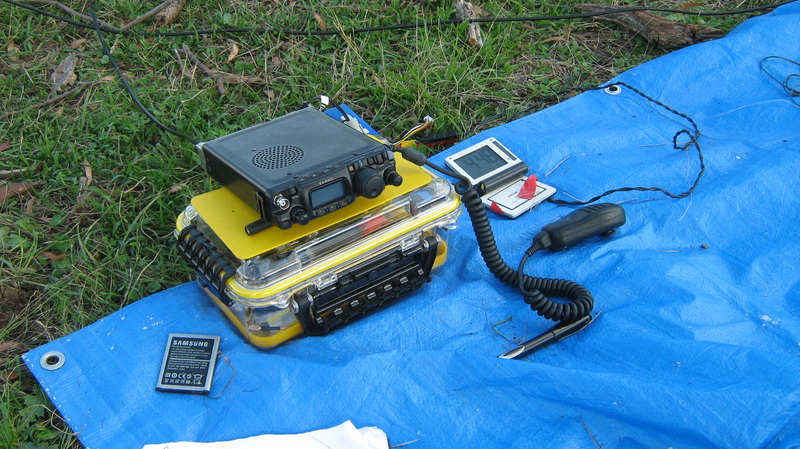 Previous activations: First SOTA activation by Al VK1RX on 20 September 2013. My first activation of this summit was 24 March 2014 working chasers in the US to qualify the peak on 10m. Gibraltar Hill and the summit surrounds are on private property. The summit hosts aviation navigation infrastructure a VOR/DME and a NDB ‘WLE’ on 237 kHz. Al VK1RX had gained permission from the land owner for us to gain access to to the summit on Sunday afternoon starting from a farm gate off Williamsdale Road. 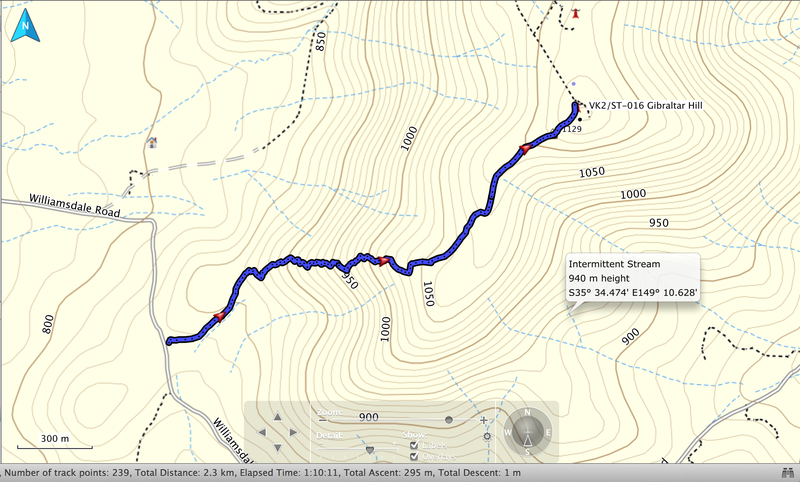 The ascent to the summit is 295 metres over 2.3 km taking 1 hour, 10 minutes. 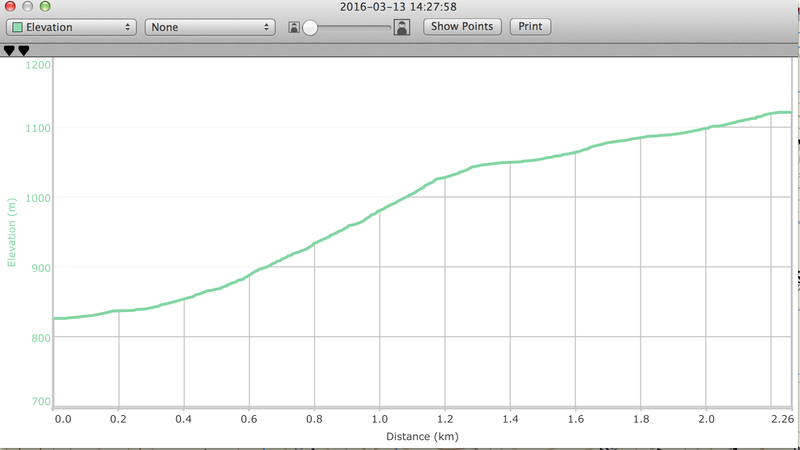 Average gradient over 2.3 km is 13%, steeper sections of the walk were 22% 1 in 4.5 metres. Average walking speed was 1.9 km/h. At the summit we looked for a shaded area out of the direct heat of the sun and found relief under a large eucalyptus tree. This position offered a 180 degree outlook from east through north to west. 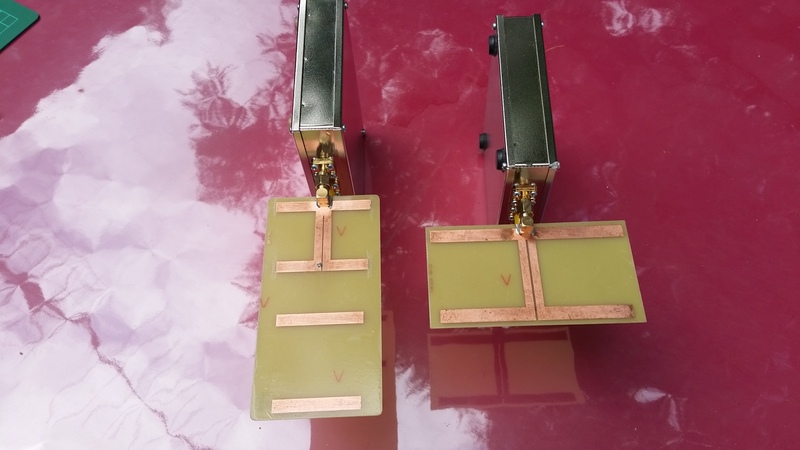 We repeated the station set up as for Mount Campbell, Al started on HF 7.090 MHz and I called CQ SOTA on 432.200 MHz USB and 439.00 MHz FM, both frequencies are within the VK 70cm band. 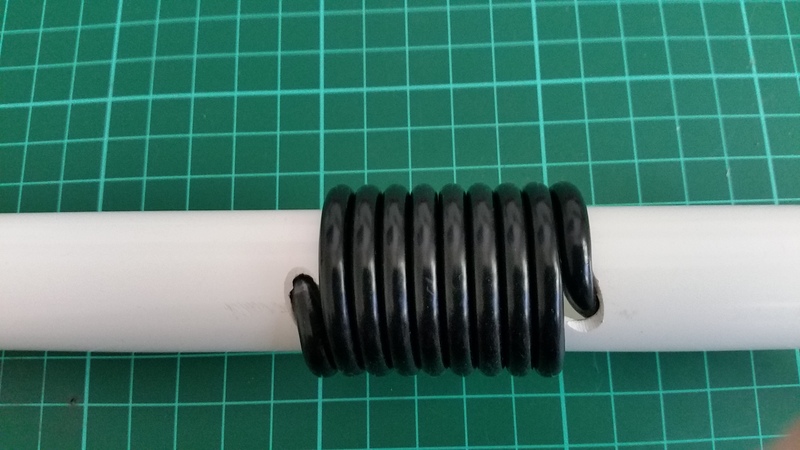 Started the activation at 03:45 UTC (14:45 local) posting a spot for 432.200 MHz USB. First and only chaser on 432.2 USB was Mark VK1EM. I changed to 439.00 MHz FM where Rob VK1KW called in followed by Gil VK1GN. 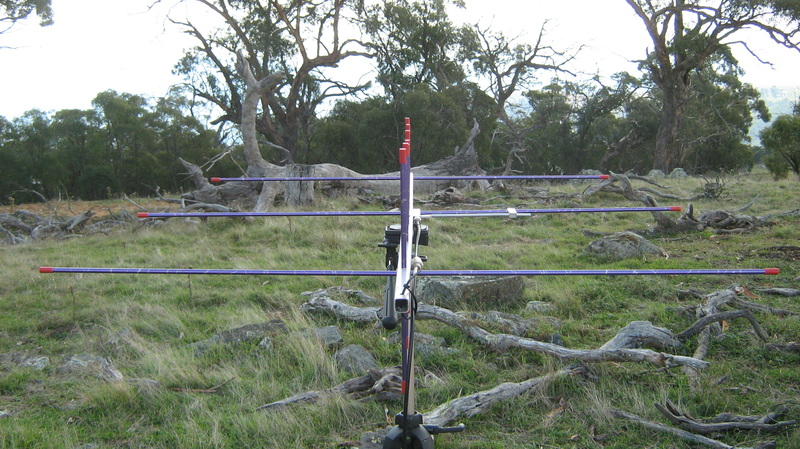 My fourth chaser contact to qualify the summit on 70cm was Ian VK1DI on the north side of Canberra. Al and I swapped positions on the HF and VHF stations. 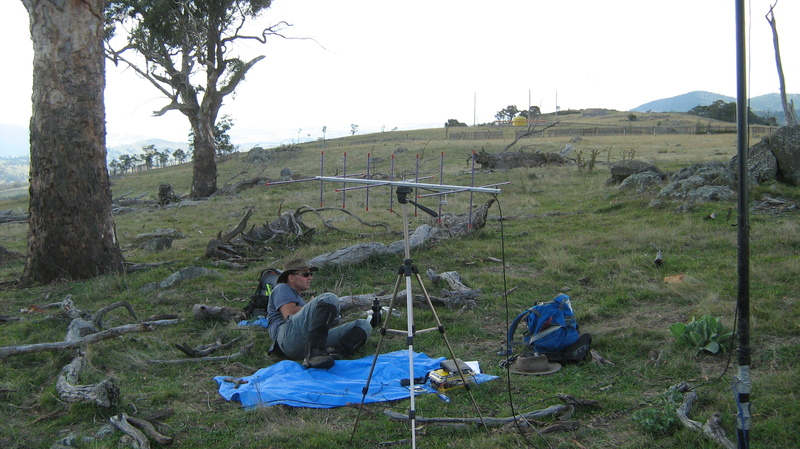 I worked 6 chasers on HF including summit to summits (S2S) contacts with Tony VK3CAT and Ken VK3KIM both at Mt Toolebewong VK3/VC-033 near Healesville. During a short QSO with John VK2YW in Wagga Wagga, we agreed to attempt a contact on 2m 144.200 MHz USB. 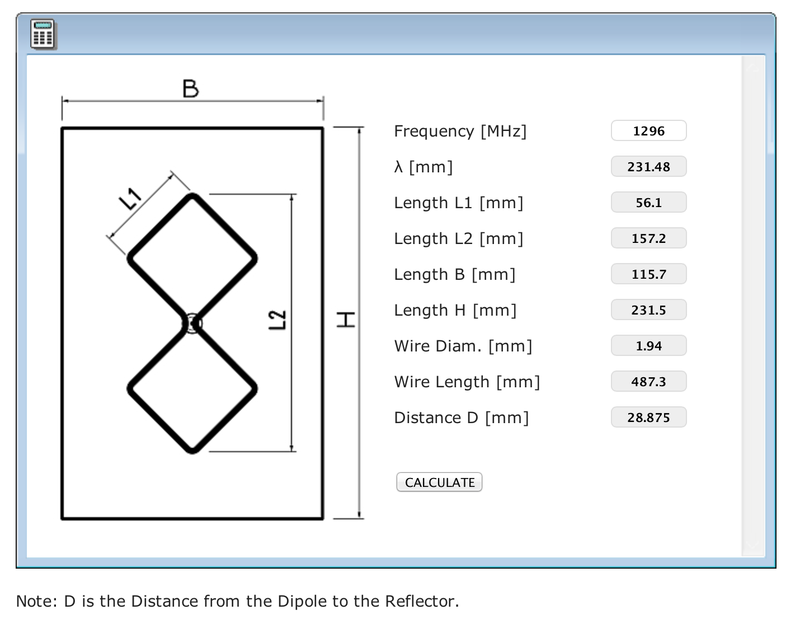 Al VK1RX adjusted the 3el Yagi pointing west then made a few CQ calls using the FT-817 at 5 watts. Meanwhile a number of commercial aircraft operating between Sydney and Melbourne flew overhead (heading south-west), remember the summit hosts a VOR/DME and a NDB. If you think it’s a little nerdy to chase VHF radio signals over a challenging path at low power levels, you bet it is and its terrific fun! 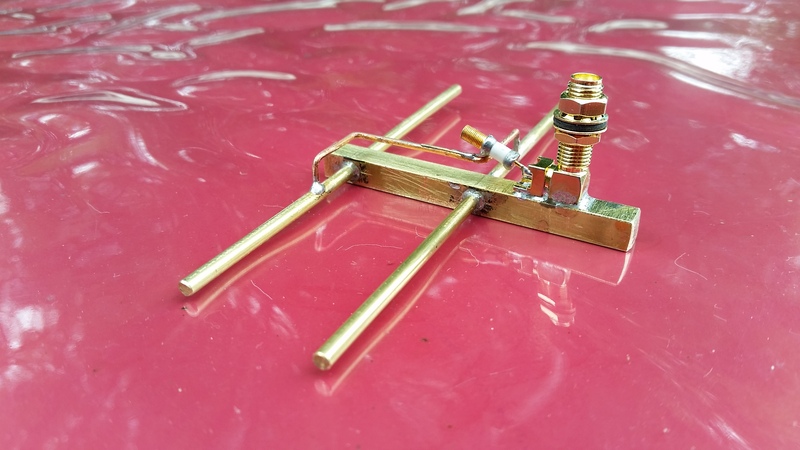 Amateur Radio is about experimentation with radio transmitters, receivers and antennas producing radio signals (electromagnetic radiation) traveling close to the speed of light at a little less than 300,000 km per second or 186,000 miles per second. Dual band 70cm/2m Yagi beaming due west for an multi-path contact with John VK2WY in Wagga Wagga over 172 km at 284 degrees. 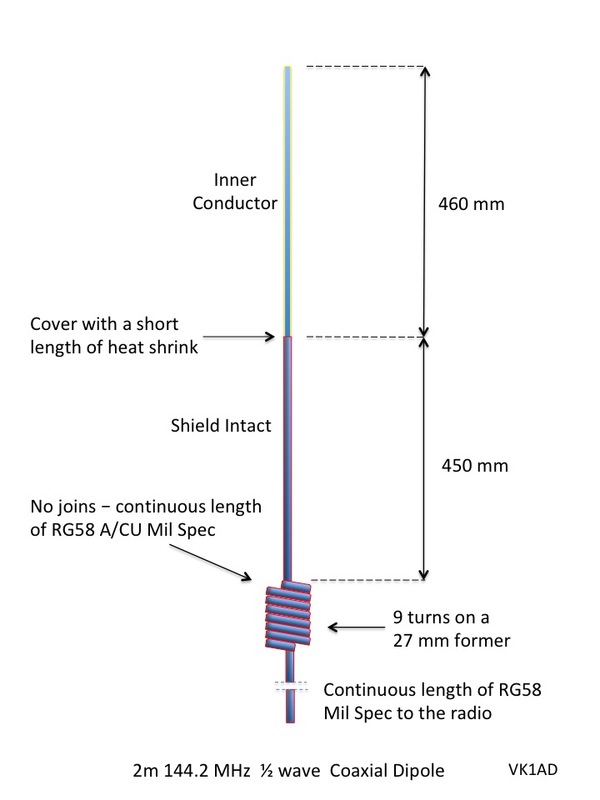 Cross-section profile of Gibraltar Hill to Wagga Wagga. 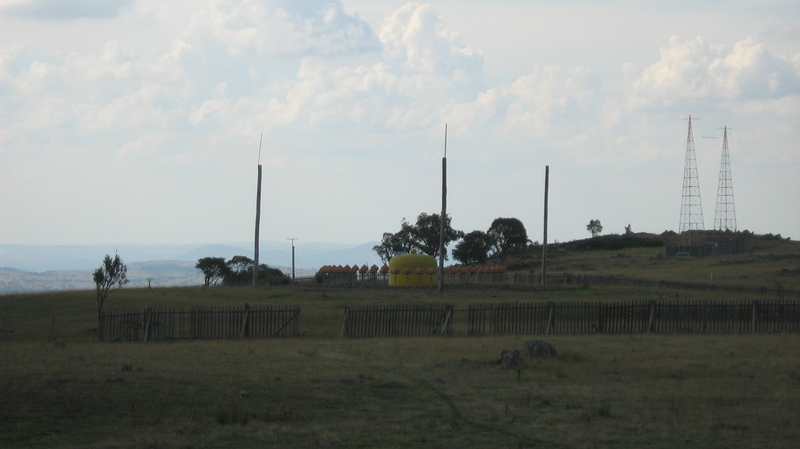 The highest point in the land mass at 1458 metres ASL is on Mt Franklin Road 1.6 km north of Mt Franklin in the Brindabella Ranges. View north from our operating position – the summit is a large ‘tabletop’ formation. 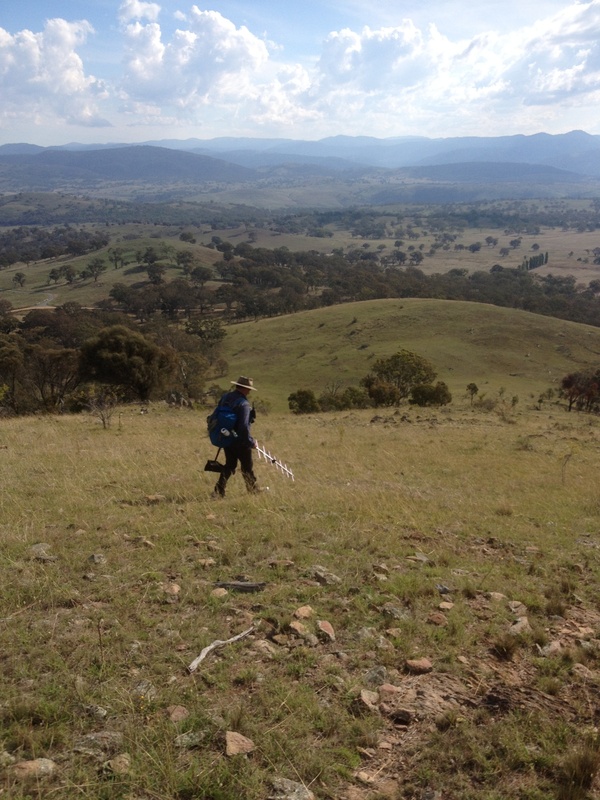 Next planned activations: Saturday 19 March 2016 three summits in the Snowy Mountains region off Tantangara Road, Mt Nungar VK2/SM-027 (first time for me), Blackfellows Hill VK2/SM-033 and VK2/SM-036 unnamed but known fondly to SOTA activators as March Fly Mountain. Sunday 20 March 2016 Mt Perisher VK2/SM-007. I love the final photo. At last on the way down! And following a most successful activation. Congratulations!